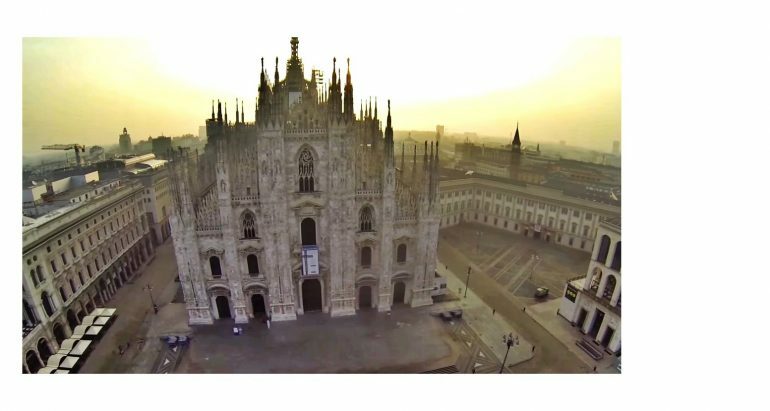 This Cathedral was built as a tribute to St. Mary of the Nativity (Santa Maria Nascente) and it is now the seat of the Archbishop of Milan. Its style is Gothic and the duration of its construction was approximately six centuries. It is also the second largest church in Italy and the third in the world. The interior is host to a large number of monuments, such as the Archbishop Alberto da Intimiano’s sarcophagus, the sarcophagi of the archbishops Ottone Visconti and Giovanni Visconti, the three splendid altars by Pellegrino Pellegrini, the enormous chandelier called the Trivulzio Candelabrum and many, many others. A small red light bulb is also placed in the dome above the apse and it marks the spot where one of the nails supposedly from the Crucifixion of Christ has been placed. The outside decoration is amazing, with a rather different shape and structure compared to other cathedrals – there are hundreds of life size statues on the roof and walls. Speaking of the roof, visitors can pay a small fee if they want to take a charming trip to Duomo’s roof via steps or an elevator. The view from the top is stunning and you can see a lot of amazing places from that spot. On a clear day, you can even see as far as the Alps and Apennines. The roof is actually quite a safe place, so you don’t have to worry about heights or other issues. from the imperial family. 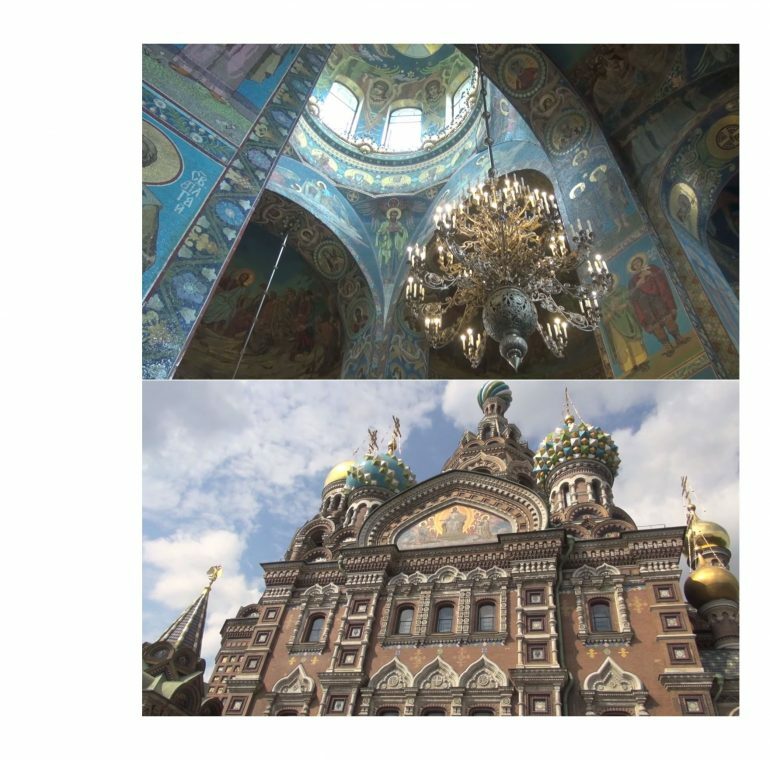 While most of St. Petersburg’s architecture is predominantly Baroque and Neoclassical, the Cathedral really differs from the usual, harking back to the medieval Russian architecture in the spirit of romantic nationalism. It deliberately resembles the 17th century Yaroslavl churches and the renowned St. Basil’s Cathedral in Moscow. After 27 years of restoration, the church was reopened in 1997 but it has not been reconsecrated and does not function as a full-time place of worship. It is mainly a Museum of Mosaics. You’ve probably seen quite a few photos of this amazing building, but visitors say that it is much more impressive and beautiful in person. The frontage is superb and the inside really takes your breath away; the mosaics are mesmerizing and seeing this marvellous piece of architecture for the first time can leave you spellbound. Check out the available flights! 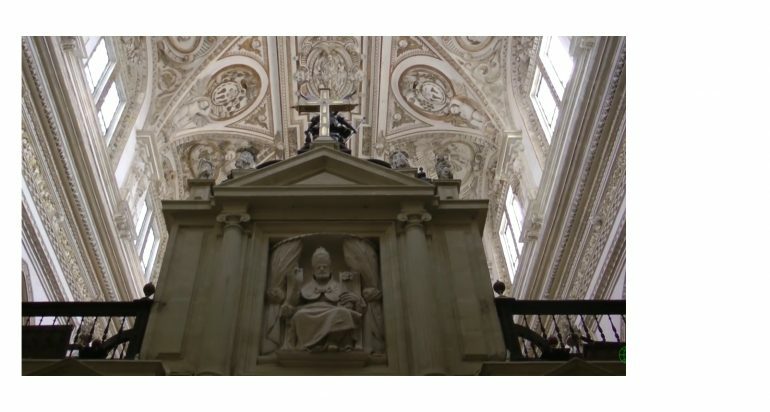 Dedicated to the Assumption of the Virgin Mary, the Catholic cathedral of the Diocese de Córdoba is located in the Andalusia region, in Spain. The structure of this building has been regarded as one of the most skillful monuments of Moorish architecture. Originally a small temple of Christian Visigoth origin (the Catholic Basilica of Saint Vincent of Lérins), the building has been through a lot of changes and was the cause of certain disputes over a long period of time. It was divided in Muslim and Christian halves in year 711, and then demolished and replaced by the grand mosque of Cordoba in 784, only to return to the Christian rule in 1236, during the Reconquista. Words might fail you when you encounter this majestic, beautiful, peaceful site. You can spend as much as 20 minutes here and still come away deeply moved, but the full breathtaking experience is worth spending even a whole day. A religious symbol of great importance, this Italian Renaissance church in Vatican city is one of the most renowned work of Renaissance architecture, one of the largest churches in the world and one of the holiest Catholic shrines. It definitely holds a unique position in the Christian world and is one of the most representative and great churches affiliated to this religion. 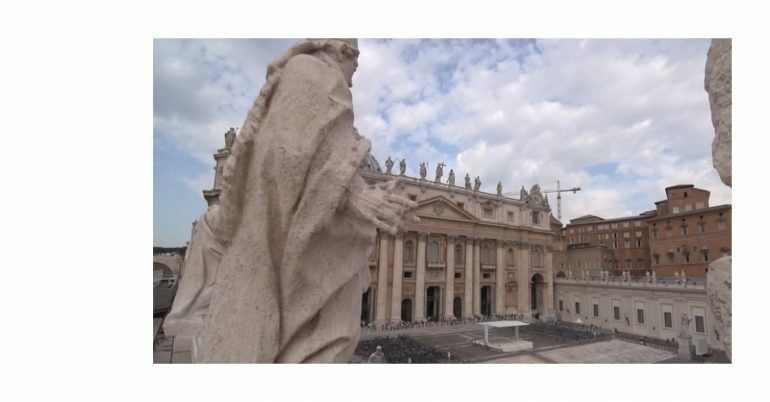 Supposedly, the Basilica is the burial site of one of Christ’s Apostles, St. Peter, who was also the first pope. The security lines and the queues here can be a bit discouraging, but the place is simply stunning and impressive, so it is worth the struggle. It is recommended to come here earlier in the morning to avoid the big crowds from the middle of the day. The square gives a very beautiful eerie feeling, especially if you visit in the early evening, when the sunset turns the whole place in a surreal spot. It is immense and very beautiful on the inside too, and other tourist recommend going to the top of the cupola for amazing pictures. Located in Abu Dhabi, the capital city of the United Arab Emirates, the mosque is considered to be the key for worship in the country. 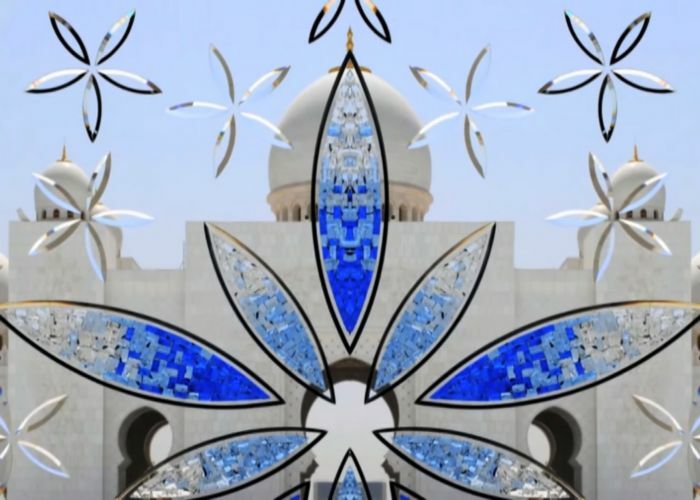 The late president of the United Arab Emirates wanted to establish a structure that would unite the cultural diversity of the Islamic world, the historical and modern values of architecture and art, so he initiated the constructions of the Sheikh Zayed Grand Mosque. 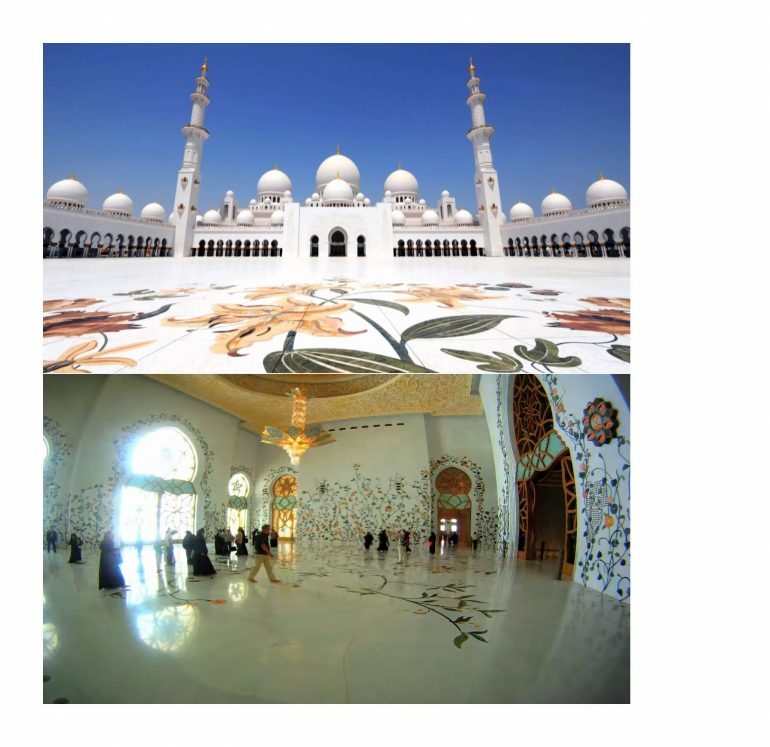 It was built from 1996 to 2007 and it is the largest mosque in the UAE, covering an area of more than 12 hectares. It is the key place of worship for Friday gathering and Eid prayers, when it can be visited by more than 41000 people. Described by many visitors as one of the most beautiful buildings, with a fascinating architecture, the mosque centre is a very pleasing place to visit in the evening, when the atmosphere is very calm and relaxing. This building really shows the richness of Abu Dhabi and is a must see for anyone who is stopping by or staying for a while in the UAE capital. Non Muslims can enter without any problems with the proper dressing, security people will even give the Pardha for girls who have not dressed properly. The whole experience here is amazing and unforgettable; only approaching the mosque and seeing thousands of people in peace will make you understand that its power goes beyond the outstanding size and wonderful details and reaches a truly spiritual level. If you’re planning on visiting one or more of these beautiful sights, don’t forget to plan your trip properly and look for available flights to your destination and for proper accommodation by checking the complete lists of hotels from every country and city. Enjoy your vacation!